This is the bat A-Rod used to hit the 620th home run of his career. 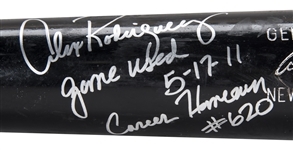 The blast occurred in the 4th inning of the May 17, 2011 game in Tampa. The Yankees were down 1-0 when Rodriguez rode a James Shields pitch over the left-center field wall to tie the game. 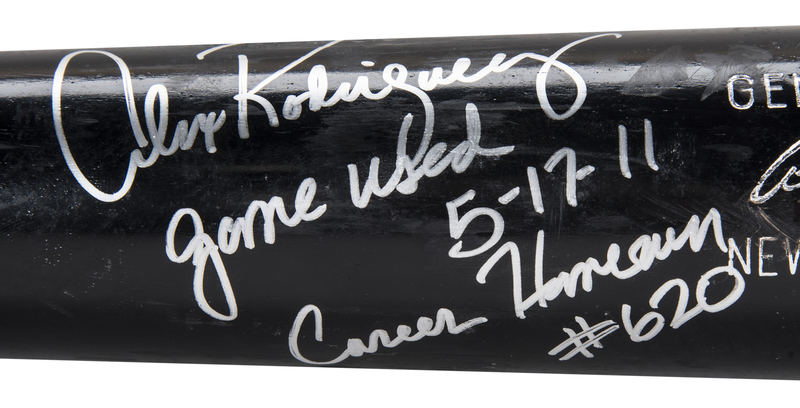 The Yankees star then hit another Shields offing out of Tropicana Field in the 6th for his 621st career homer and put the Yankees ahead 2-1. New York kept piling on the runs and eventually won the game 6-2. 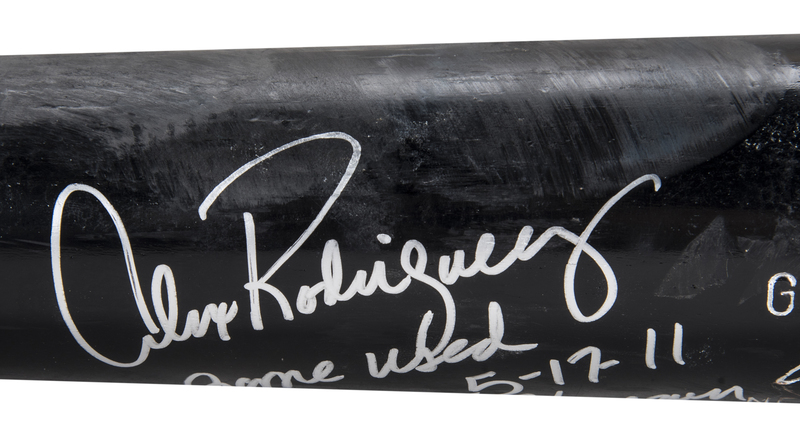 A-Rod’s Louisville Slugger C271L model bat he used to club number 620 shows good use and is un-cracked. 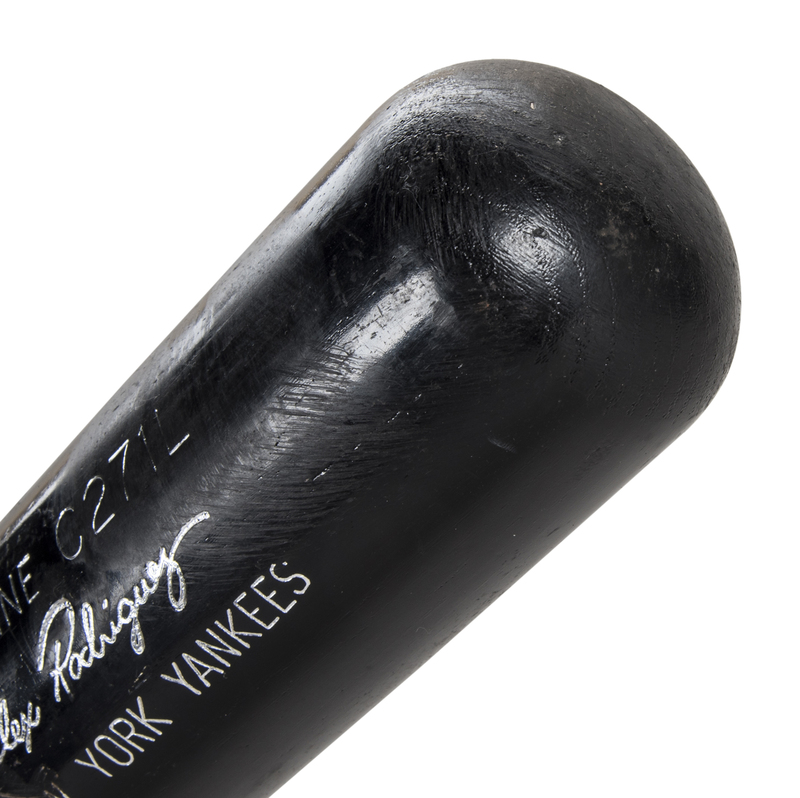 There are several tremendous ball marks with stitch impressions on the barrel as well as white leather ball scuffs. 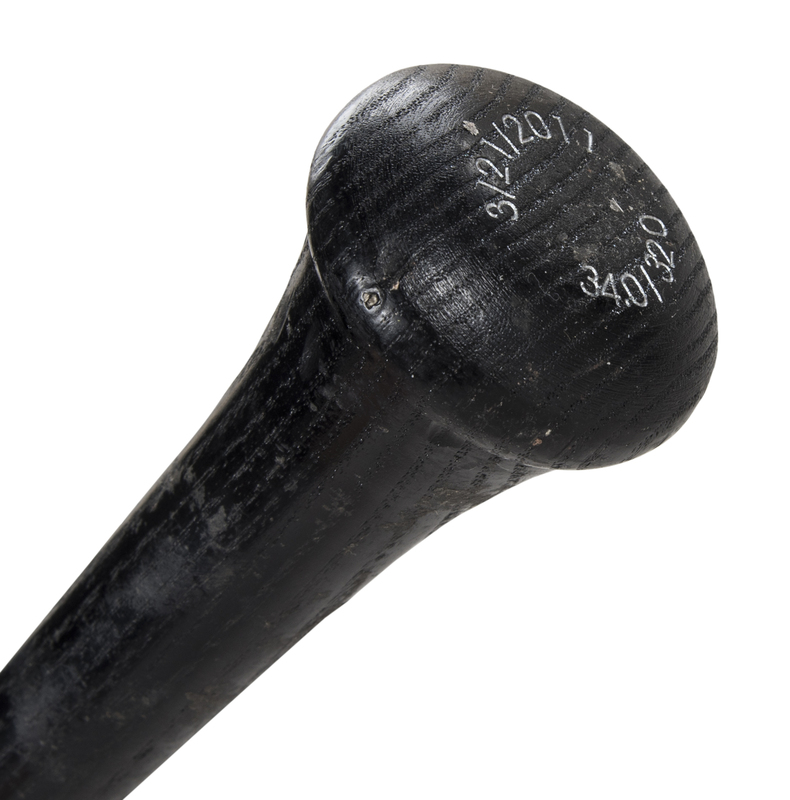 The handle has a moderate coat of pine tar and the knob has been stamped with the date of manufacture “3/21/11,” weight “34.0,” and length “32.0.” A-Rod retired the bat after the game and signed the barrel in silver marker and carefully noted its significance with the inscription, “Game Used 5-17-11 Career Home Run #620.” A perfect A-Rod gamer attributed to a very significant career milestone. 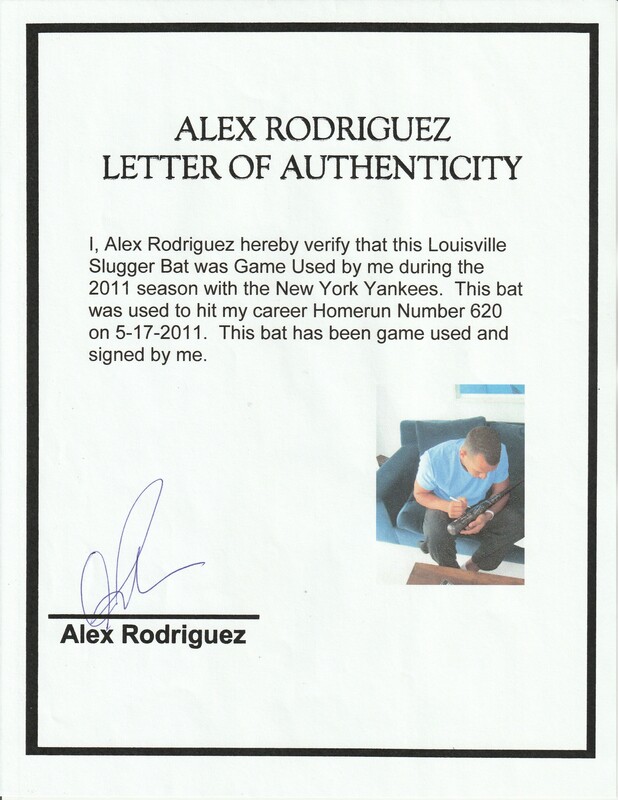 The bat comes with a signed LOA from Alex Rodriguez for the game use and signature.